1. To remove or dissipate by melting, vaporization, erosion, etc. : The worker was ablating the metal surface with intense heat. It would appear that the icebergs are ablating faster than scientists had anticipated. After a heavy rain, the top soil ablates from the field and runs off into the stream. 2. In medicine, to amputate or otherwise to destroy a biological function; for example, of a bodily tissue by cutting, with a laser, or by means of burning with electric heat: The doctor ablated the abnormal number of warts that had formed on Colleen's body with electrocautery. The doctor indicated that she would ablate the lump from Tanya's leg. After Patrick's crushed foot was ablated in an accident, he learned to walk and to run with a prosthetic foot and shoe. 1. A reference to taking away or removing: The city trash department was charged with the ablative task of clearing the streets after the severe storm. 2. Tending to be removed or vaporized at very high temperatures: The ablative material on the rocket cone fell off. 3. 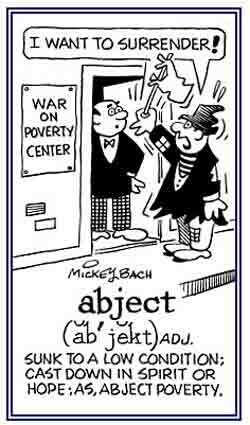 In grammar, applied to one of the cases of the noun in Latin and some other Indo-European languages: The ablative case is the removal, separation, or taking away; that is, indicating direction away from, or time when. Grammatical "cases" are changes in form that are made of nouns or pronouns to reflect how they are used in sentences. For example, the noun "men" is changed to "men's" and the noun "woman" is changed to "women's" to show possession. Nouns in English once had several case forms, but the only one used today is the possessive case. Pronouns continue to change case forms to show their relations to the rest of the elements in a sentence. The three cases of pronouns are "nominative", "objective", and "possessive" cases. 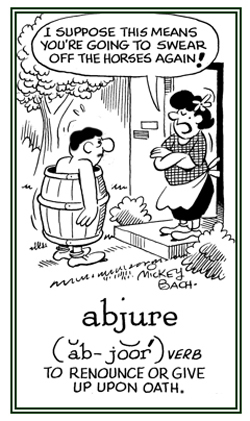 A grammatical case used in some languages to indicate movement away from something, removal of, separation from, or source of: The ablative case corresponds roughly to the English prepositions "from", "away from", and "concerning". Raymond's sister had to memorize lists of ablative cases when she was studying a foreign language at school. All of the ablative cases which the author used made the story interesting but a bit convoluted. The nominative case shows that the noun or pronoun is being used as the subject of the verb: "The students learned about subjects in the English class and they usually know that verbs show what the subjects are doing." Object of the verb: "Jessica's complimentary remarks about Mike's work made him feel good." Object of a preposition: "Everyone went home after the meeting except Phil. 1. The heat shields of space vehicles, which melt or wear away during the reentry into the earth's atmosphere: The scientist created a new ablator which could withstand extreme heat. 2. 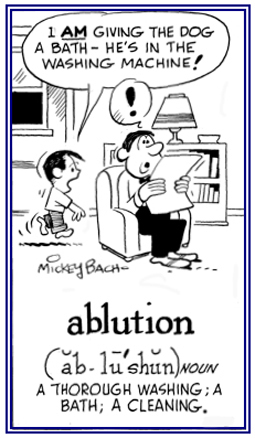 The outer surface of a spacecraft or missile: Ablation is the erosion of the protective outer surface, or ablator, of a spacecraft or missile resulting from aerodynamic heating caused by travel at hypersonic speeds during reentry through the atmosphere. The ablators on the spacecraft were welded into place using a specialized metal that would withstand great heat. The change of one root vowel into another one to show a variation of tense, part of speech, or meaning: The following ablauts show how certain verbs change their tenses: swim, swam, swum; sing, sang, sung; drink, drank, drunk; sink, sank, sunk; and many other irregular verbs. 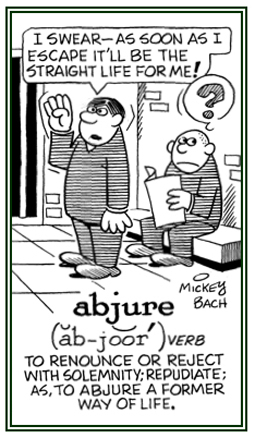 The students were asked to find the single example of an ablaut in the poem that they memorized. The grammar teacher wrote several examples of ablauts on the chalkboard for the students to study. Showing page 4 out of 13 pages of 191 main-word entries or main-word-entry groups.